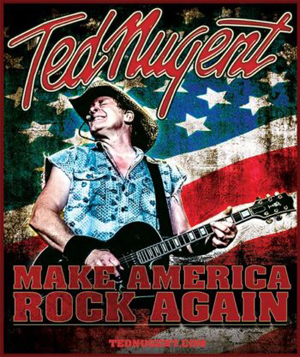 TED NUGENT will be bringing his "Make America Rock Again" tour across the country this summer and has announced additional dates. He’ll be bringing heart-thumping, all-American rock-n-roll soul music to a city near you. Along with a ticket to the show, the Dangerzone VIP Packages include a pre-show meet and greet with Ted, a photo of the Nuge for autographing, a VIP laminate and more. For those who have purchased their tickets already, a Dangerzone VIP Package Upgrade option is also available.